Rick's Picks Online Merchandise Store Launches: Shop On, Rockers! The Burpee Museum of Natural History and Rick’s Picks: A Lifelong Affair With Guitars & Music, have launched an online store to provide visitors and Rickophiles access to fantastic exhibit merchandise including limited addition posters, t-shirts, guitar picks and other rock & roll swag. I've been known to wear shirts with my face on them. I hope everybody else does, too! Shoppers are encouraged to visit http://www.rickspickslive.com and click on the Store button, or visit directly here. 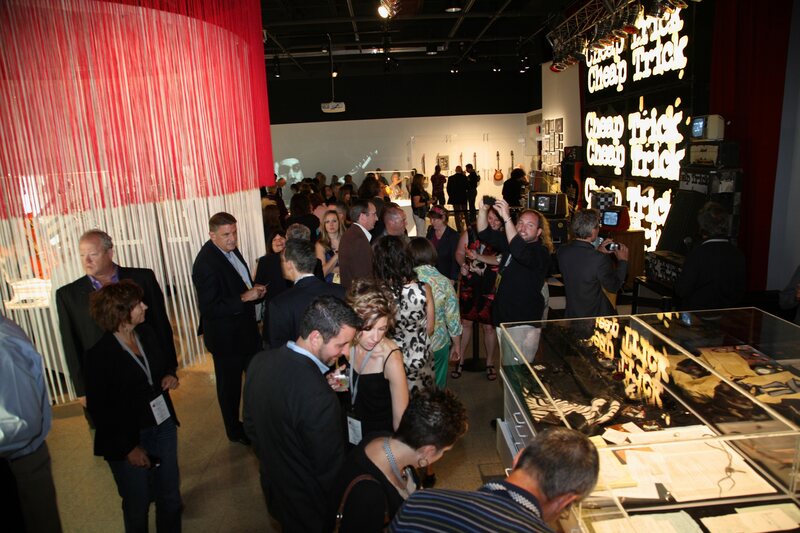 "We have heard from many of Rick's far-flung fans that although distance prevents them from visiting the exhibit, they want to own a piece of Rick's Picks," said Jay Graham, Founding Partner and Co-Creative Director of exhibit designers GrahamSpencer. "Being able to purchase merchandise online in the comfort of their homes will put a lot of smiles on a lot of faces." Rick himself had this to say, "I've been known to wear shirts with my face on them. I hope everybody else does, too!" Rick's Picks merchandise was designed by GrahamSpencer, and the online store was developed by C&E Specialties and GrahamSpencer. The exhibit opened in August at The Burpee Museum of Natural History, 737 North Main Street Rockford, IL 61103 and will run through April 2013. Find more information on Facebook. Or follow emerging news on Twitter. This project was partially funded by a Grant from the Illinois Department of Commerce and Economic Opportunity, Office of Tourism. Post-Rockford, officials intend to send the exhibit on a worldwide tour. Corporations and Organizations interested in national and international sponsorship of the exhibit are invited to visit the Rick’s Picks Sponsorship page. Many levels of collaboration are available. Current exhibit sponsors include Illinois. Mile After Magnificent Mile., BMO Harris Bank and Rockford Area Convention & Visitors Bureau, along with other supportive businesses and organizations. It’s Guitars. It’s Rick. It’s Music History. It's a Fundraiser. From Rockford, Illinois’ skating rinks to Tokyo’s Budokan, Rick’s Picks tells the 40-year story of one of the hardest-working stars in Rock & Roll. As one would expect, Rick has more stories than his five neck has strings. 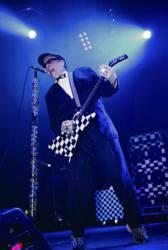 Rick's Picks also is a fundraiser for Rick Nielsen's favorite hometown museum, the Burpee Museum of Natural History. For more information, contact Anne Boccignone, 815-742-0110, aboccignone(at)grahamspencer.com. Since 1942, Burpee Museum of Natural History has inspired people to engage in a lifetime of learning about the natural world. Burpee Museum of Natural History is home to 66-million year old juvenile T.rex, Jane, as well as a number of other interactive and educational exhibits. For more information, or to see a schedule of events, please visit http://www.burpee.org. When Cheap Trick burst onto the national music scene in the 1970s, it broke new ground with a punkish, hard-edged brand of literate garage rock that was the perfect antidote to what ailed weary FM radio listeners worldwide. The band’s uniquely midwestern sensibilities have been deftly recorded in 28 albums and laid bare in thousands upon thousands of performances worldwide. With walls of gold and platinum records to prove their enduring success, Cheap Trick and its pick-flinging, checkerboard-bedecked dynamo Rick Nielsen have never stopped touring, much to the delight of one of rock history’s most loyal fan bases. Rick Nielsen, and bandmates Robin Zander and Tom Petersson were seen touring with Aerosmith in major cities across North America this summer. The band and the tour were named among “the summer’s hottest,” by Rolling Stone magazine.